The Young Professionals Institute is a 7-week professional development short course that helps participants who are young in their careers hone their professional skills through hands-on activities, on-the-spot public speaking assignments, and business simulation exercises. Along the way, participants visit local businesses and organizations to complete on-site assignments and hear presentations by embedded guests from the public and private sector. The Institute culminates in a showcase presentation before area business and community leaders, and past YPI graduates. 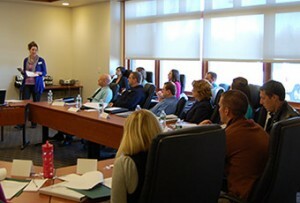 Hosted by the University of Maine at Presque Isle and MMG Insurance, YPI has provided training to area professionals for more than a decade.